WORLD SOURCE solving Dresses & Blouses production and contracting needs. 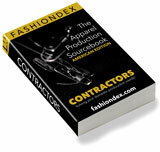 Description: All types of apparel production services. Compare WORLD SOURCE with all 12 listings in Dresses & Blouses.